The whole idea behind these hats (of which there are many patterns out there now) is that if you want to wear at nice warm hat, but your ponytail is in the way, you can make your ponytail stick out the back. You can adjust the button opening based on whether you wear your ponytail up high or down low. Very practical and you get a cool hat too! 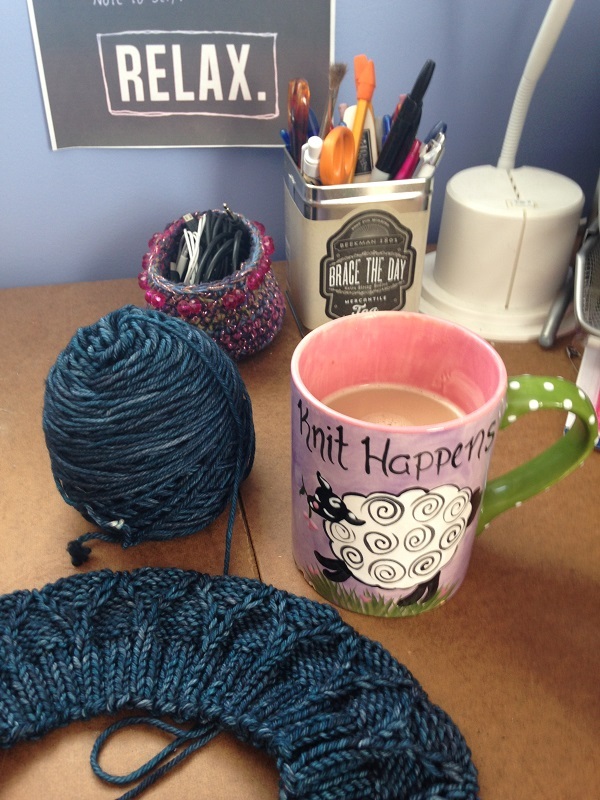 If the yarn looks familiar, it is the same Malabrigo Rios I used to make the Misty Blue sweater. 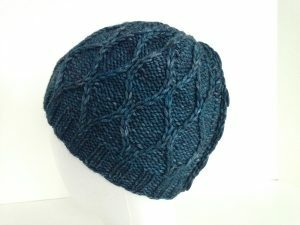 I only needed a little bit of the second skein to finish the sweater and there was more than enough left over to make the hat. I will say it again: I. Love. This. Yarn. 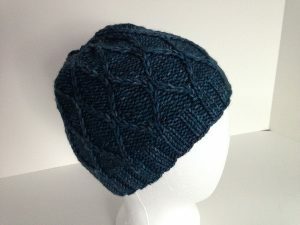 This pattern is knit completely flat (not in the round) and uses slipped stitches (and switched stitches) to make the trellis pattern. For the life of me, when I started, I couldn’t figure out what the heck was happening. But then the pattern actually started emerging and I figured I was doing it right. The “switched stitches” involves dropping a stitch off the needle – and letting it hang out there – then slipping another stitch, then putting the dropped stitch back on your needle. Nerve wracking to say the least, especially in the beginning. Once you get going, it’s no big deal. Until you realize your numbers aren’t right and somehow a stitch got dropped not on purpose. [That might have happened to me.] A cable needle would be helpful if you are just too nervous to do it this way. Really the biggest feat for me was the five buttons that needed to be put on this hat. FIVE. If you have been reading this blog for any amount of time, you know I really dislike sewing on buttons. 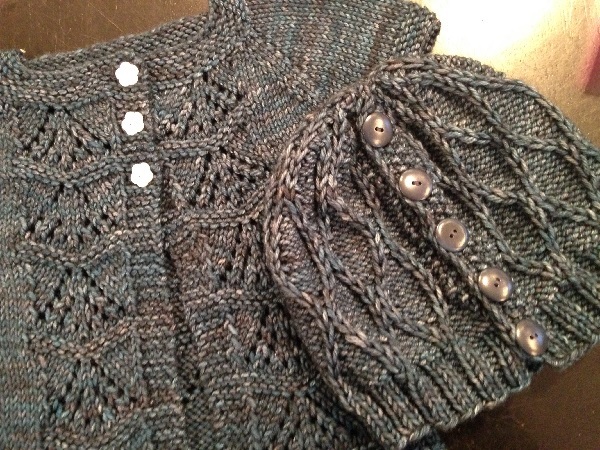 I will put a shawl pin in a cardigan or just leave it open in order to not sew on buttons. 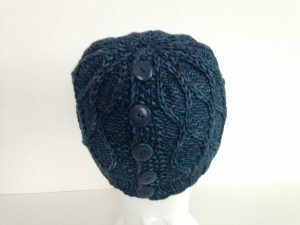 But this hat being what it is, meaning you can’t remotely wear it without the buttons, I needed to do them. So that was EIGHT buttons I sewed on. In a row. If you follow me on Instagram, I posted that picture right after I was done, proclaiming I needed some sort of reward for that! By the way I recently found this YouTube video for how to sew on a button and it is a much better way than I was doing. 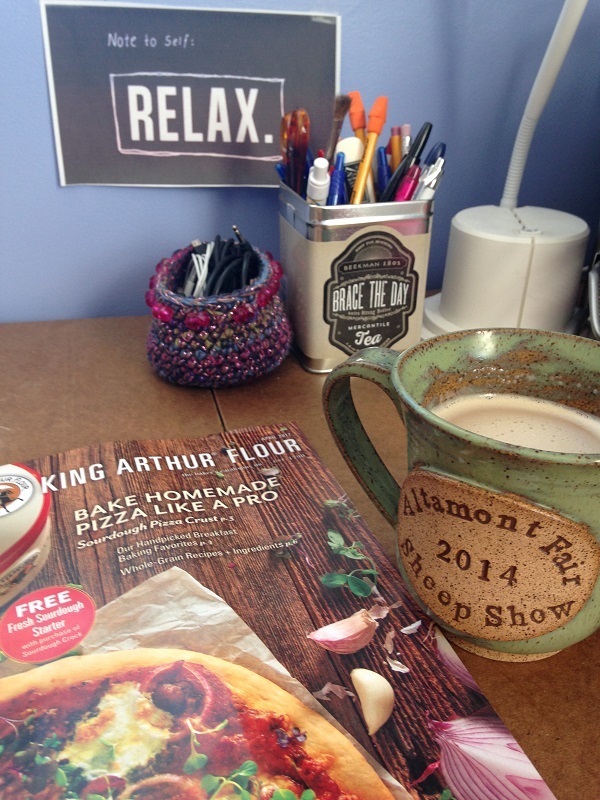 The other day the King Arthur Flour catalog came. My kryptonite. I love almost everything in there and every time I get it I want to bake all the things. 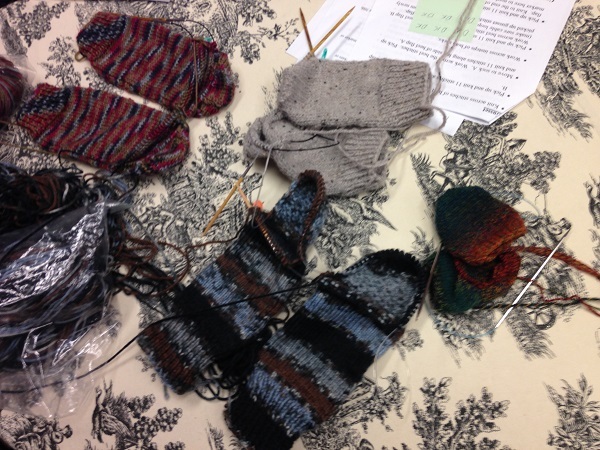 During this morning’s break I worked on my Apple Blossom Socks by Helen Stewart. I showed those to you in my last post, too. I couldn’t get them out of my mind, so, since I happened to be at the yarn shop on Wednesday (how fortuitous), I picked up the skein of Happy Feet 100 Splash that I have been looking at forever. 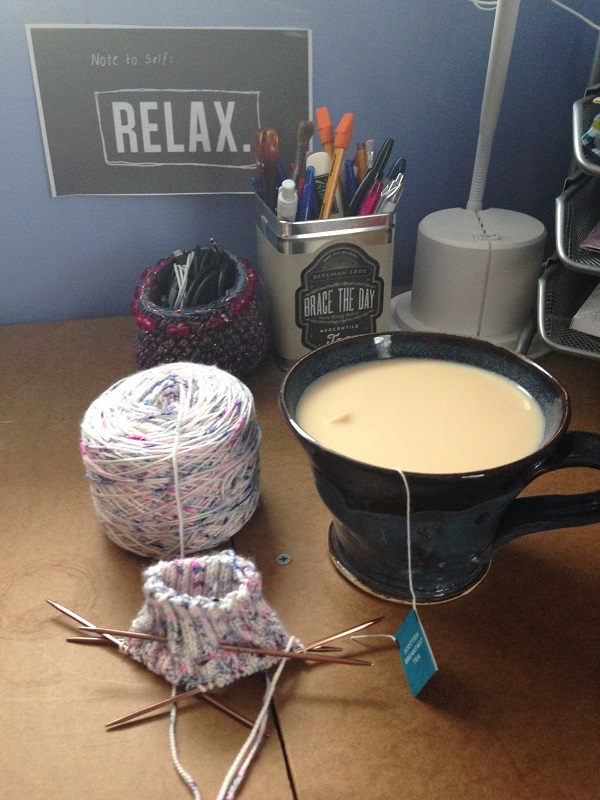 The yarn in the pattern is speckled, but I’m slightly worried that my yarn might be too speckle-y. Stay tuned. Well on their way to finishing two socks at once! 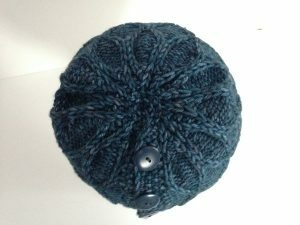 Posted in Uncategorized and tagged apple blossom socks, happy fee 100 splash, king arthur flour, misty blue, trellis ponytail hat, two socks on one circular needle on March 24, 2017 by lizytish.